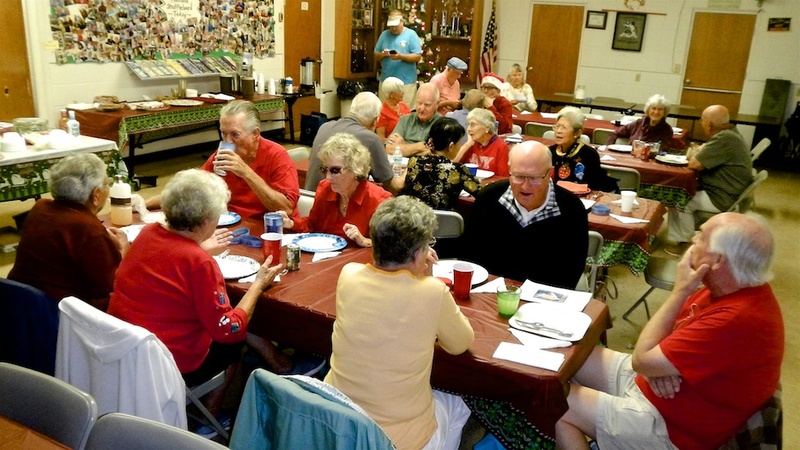 Despite the rain, we had Twenty-Four (24) shufflers and cribbage players come for our Christmas celebration. 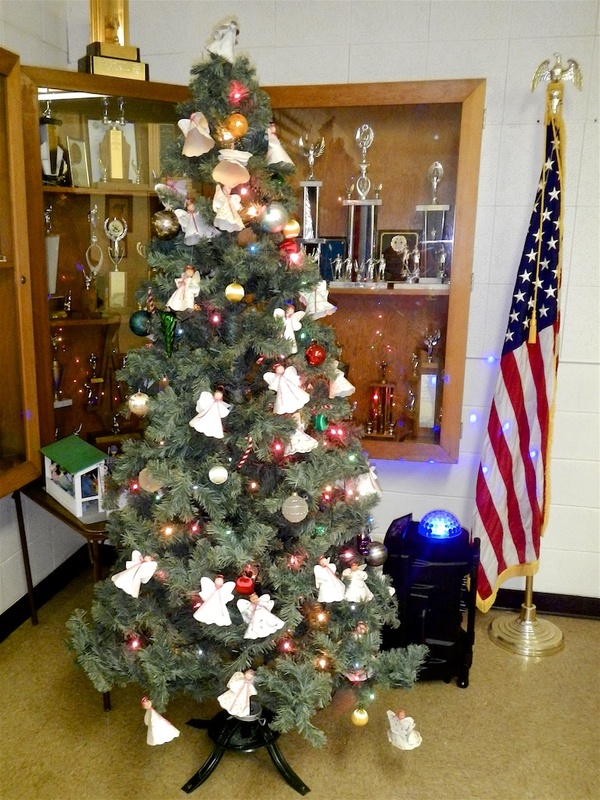 Tom Carbonell, Mary McConnell, John and Barb Fortini did a wonderful job setting up the kitchen (beverages), table/chairs with colorful festive decorations and Christmas Tree (beautiful handmade angels by Mrs. Pomainville sometime ago). The club supplied two hams prepared by Tom and Barb. There was a wonderful selection of food that goes well with ham plus a large variety of deserts. Pat Clark began our celebration with a prayer and Tom made some announcements. Tim Hickey won the 50/50 before we all lined up to indulge in the delicious food. We had an enjoyably social evening and then cleaned up the room and wished everyone Merry Christmas and a good night till next time. Ciao! More Pictures from the Christmas Pot Luck Dinner.